It is always unfortunate and unexpected when death inevitably happens to someone, especially when its someone you know or is close to you. Despite that, you should understand that there are certain things you can do for the deceased still. And in this case, that would be to purchase a proper burial plot and add that into the funeral costs in Singapore when the time comes. Below, you will find all the needed information that will prepare you when it is time to purchase the burial plot. After all, it is always best that you are well-prepared and understand what is required of you. Unlike other countries where you are allowed to reserve or pre-purchase a particular burial plot, you don’t get to do so in Singapore. In fact, the only way is by presenting documents such as the death certificate, permit to bury and identification of papers of next-of-kin and applicant. While it is definitely more complicated than other places, you should still keep this in mind in the event that such an unforeseeable incident is to happen. Typically, there are two ways for you to handle the body of a deceased, either through burial or cremation. But ultimately, it depends on what he or she wishes. In the case where the deceased wants to acquire a burial, you should understand that as of now, there are several methods for you to get a hold of a burial plot. You can choose to either book the burial through a phone, via the internet or the last alternative is the traditional way, where you simply make your way down to the office and contact the person directly. National Environment Agency (NEA) is the sole government organisation that handles all sorts of post-death matters, specifically, burial, cremation and ash storage. Previously in 1998, NEA initiated a burial policy to put a limit to the lease of the graves to 15 years as there was a scarcity of land. In turn, it also meant that graves which turned 15 years or older will be exhumed. Though it is unfortunate, now that you know of this fact, you can choose to explore other alternatives or stick to this option. At the end of the day, the ultimate decision lies in you. Choa Chu Kang cemetery is the only active cemetery in Singapore and is comprised of cemeteries from the different religions. Depending on your religion, there are various cemeteries available to meet the religious needs of the deceased. For the Christian, Chinese, Hindu and Lawn cemeteries, the burial fee is $420 for children under 10 years old, and $940 for adults. Having to plan for a funeral is never an easy thing, even more so when all you would like to do is properly mourn for the deceased. To make things easier for you, you should hire a funeral director in Singapore to handle all of the proceedings instead. 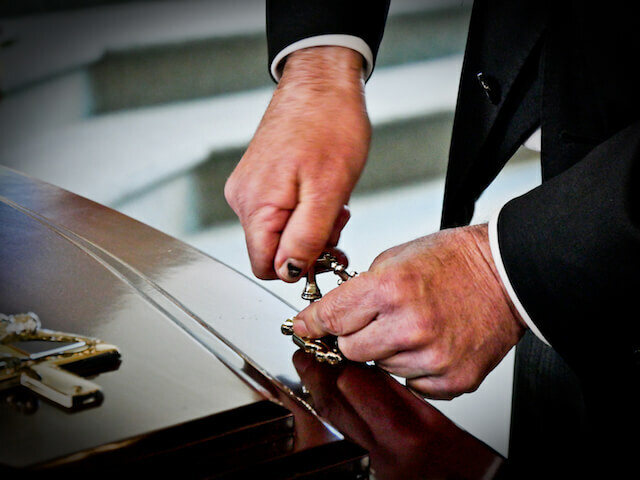 By hiring a funeral director to take care of the planning and execution of the funeral or memorial service, the bereaved family, as well as other guests, can focus on grieving for the death of their loved one, as well as consoling and providing support for each other during such an emotionally trying and devastating time.